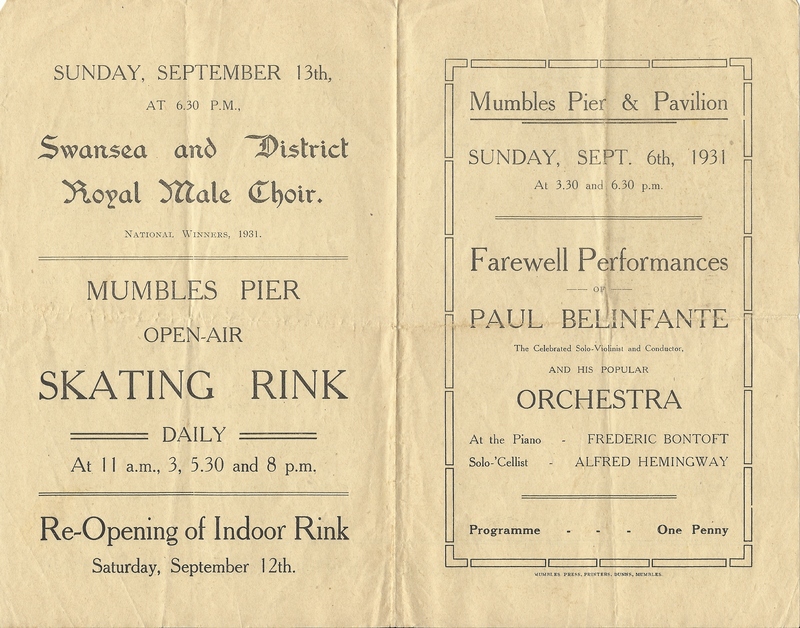 A copy of an old program from the 30’s featuring concerts, an ice rink and other events throughout September. Tell us your memories, or send us a photo, or both! Your email address and date of birth will not be published. 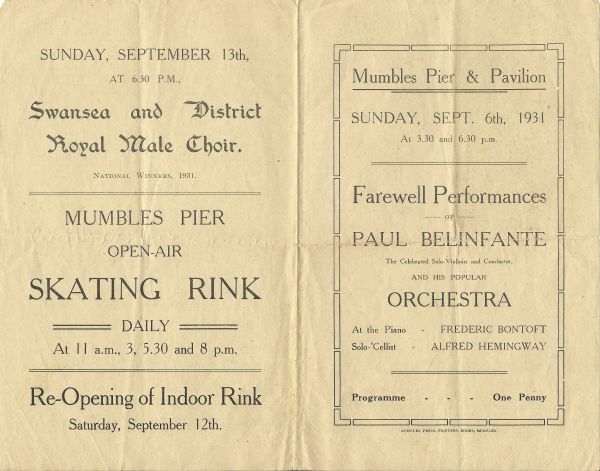 Mumbles Road, Mumbles,	Swansea	SA3 4EN.